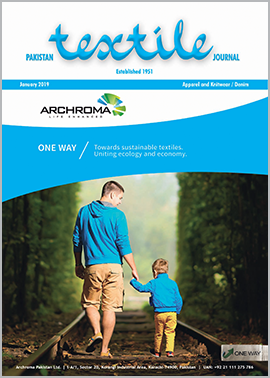 PakistanTextile Journal. January-2019 - Fairs and Exhibitions: DOMOTEX Asia/CHINAFLOOR 2019: Showcase your products in a unique way! DOMOTEX Asia/CHINAFLOOR 2019: Showcase your products in a unique way! 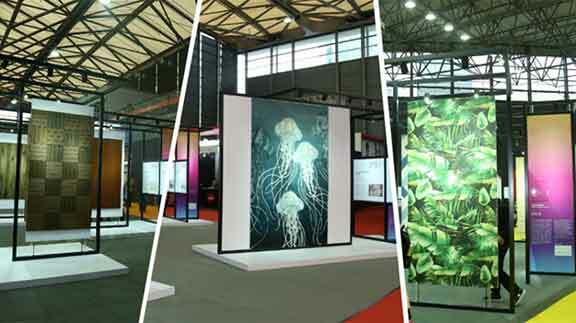 As one of the leading flooring exhibitions in Asia Pacific, DOMOTEX Asia/CHINAFLOOR is driven by innovative products. In 2013, it launched the InnovAction campaign as a promotion platform for new flooring products. InnovAction presents new trends in flooring and encourages new brands in the flooring industry to introduce or independently develop innovative techniques and materials. It is a great chance for wood, carpet and resilient flooring producers to extend their reach to the show’s professional audience and set themselves as pioneers of the flooring industry. After a successful InnovAction in 2018, the world renowned architect Kostas Chatzigiannis is coming back for the 21st edition of the show. The famous Greek designer will once again be the master planner of the new style flooring exhibition area of InnovAction. He will design a unique exhibition area and custom-made units for each new product display, leaving a unique viewing experience for the audience. The InnovAction flooring campaign and high-profile displays will be located in three halls throughout the exhibition with the purpose of unveiling future market leading products in carpet, wood and resilient flooring. InnovAction exhibitors are automatically enrolled in the online Best Products Competition. The competition will officially be online from the beginning of February 2019 and will run until the end of the month. Every new product will have a short video, making the online vote a unique experience for the professional audience. The awards will be conferred in each category, with the winners displayed onsite on large screens, which are rotated at the show for more than 60,000+ professional visitors. In addition, DOMOTEX Asia/CHINAFLOOR will present a new product manual and distribute it onsite, along with the show guide. Floor Covering Weekly Magazine (FCW), a leading international industry publication since 1952, is the main sponsor of the showcase and will formally announce the winners of the Best Products Competition.